Woot! 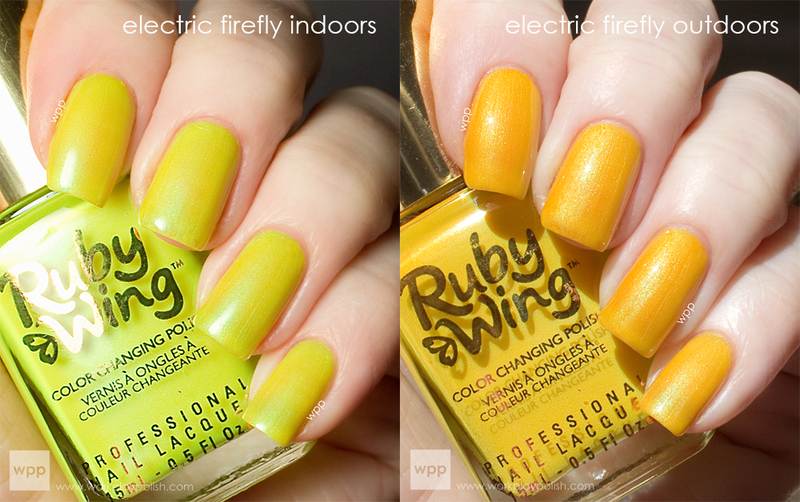 I have a preview today - the new Ruby Wing Festival Paint Collection which will soon be in pre-order at rubywing.com. If you're not familiar with the Ruby Wing brand, it uses SolarActive technology to change colors in the sun. You can see my review of the Scented Spring Garden Collection here. The Festival Paint Collection includes a few neons. I was super impressed. How they get neon pigment and color changing pigment packed into the same bottle is beyond me! A few of these are must-haves for a beach vacation. You just must! The formula was good. 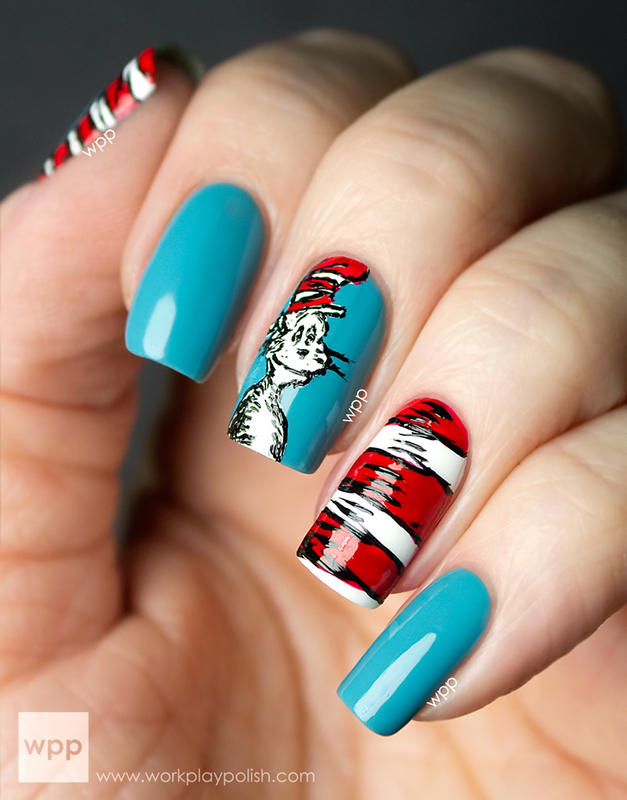 All swatches are two coats with topcoat. I gotta tell you though - these are tough to photograph. I did my best to capture the colors. First up is Crowd Surf, a bright purple crème...like a "wow" purple. So pretty. Outside it takes on a deeper berry shade. Electric Firefly is a perfect name. Indoors, it's an almost-neon yellow with an iridescent shimmer. Outdoors, it turns a more mustard yellow shade. Most of these polishes change color the instant the sun hits...but this one took a little longer to reach full outdoor color. 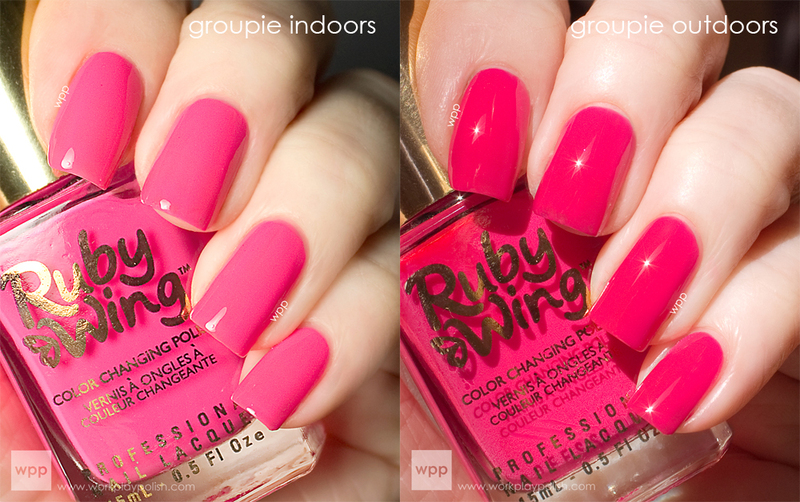 Next is Groupie, a truly neon pink creme. I tried many times to capture it in my photos - but just couldn't. Trust me! In the sunlight it takes on a darker, more orange tone. 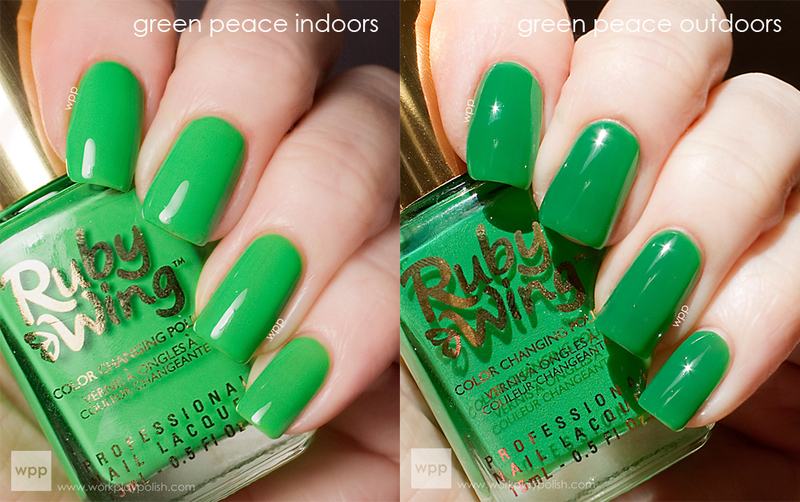 Green Peace is a neon green (again, pics don't show the brightness) that gets darker outdoors. The promo shots show a nearly forest green outdoor color, but I didn't quite get there. It's a deeper, brighter green than Cut Grass from the Spring Collection. Summer Love is another true neon indoors. It's so frustrating to photograph neon! (Anyone tired of hearing me say that yet? Anyone have any tips for me?) Outside, Summer Love turns a rusty, dark orange. And finally, we have Eternal which is by far my fave! It's a beautiful teal crème indoors (a greener version of Tiffany blue). Outdoors it gets this cool red-gray tone to it - it's difficult to describe. You can see in the outdoor pic that I didn't mix the bottle well enough before application (see the pinkish color change happening?). Also, my outdoor shot has some shadow to it so it has a gradient effect. Which is very cool...but not a good swatch shot. 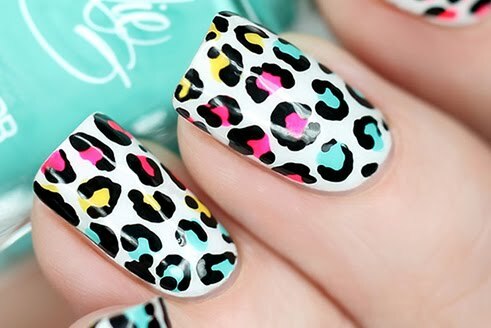 Here's another pic of Eternal to show you just how sensitive these polishes are to light. The edge of my nail is the indoor color and the rest is lit by sunlight. Isn't it awesome? I'm a big fan of Ruby Wing for the summer. Just like they say, why wear one color when you can wear two? If I had to pick, Eternal and Crowd Surf are my faves. 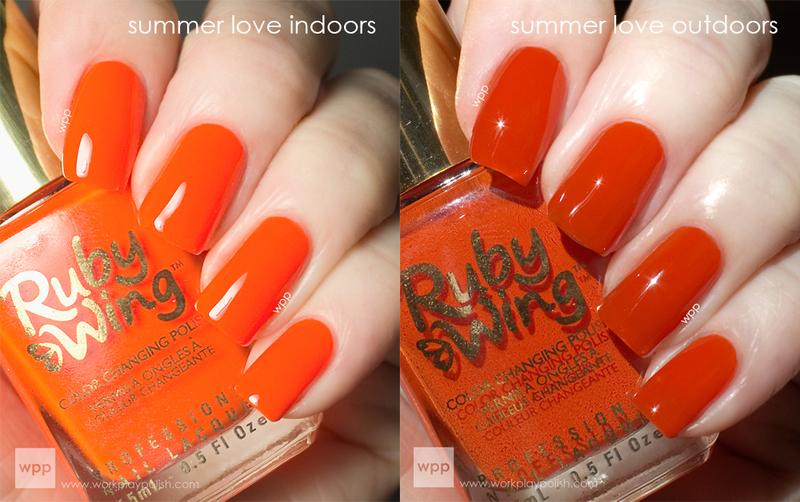 If you love neon orange, you'll love Summer Love for sure! 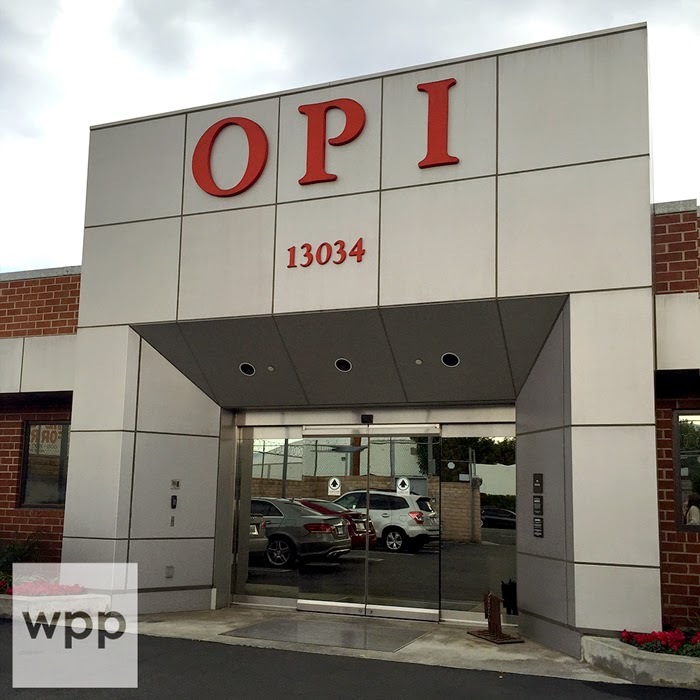 Ruby Wing is manufactured by the same company that makes Color Club. It's non-toxic, environmentally safe, vegan, and never tested on animals. Polishes retail for $10USD and are available online at www.rubywing.com. You can also follow them on facebook, twitter or their blog for upcoming collections, events and promotions. To learn more about SolarActive and their color changing technology - which is used in a variety cool products, from jewelry beads to embroidery thread to t-shirts - visit www.solaractiveintl.com.